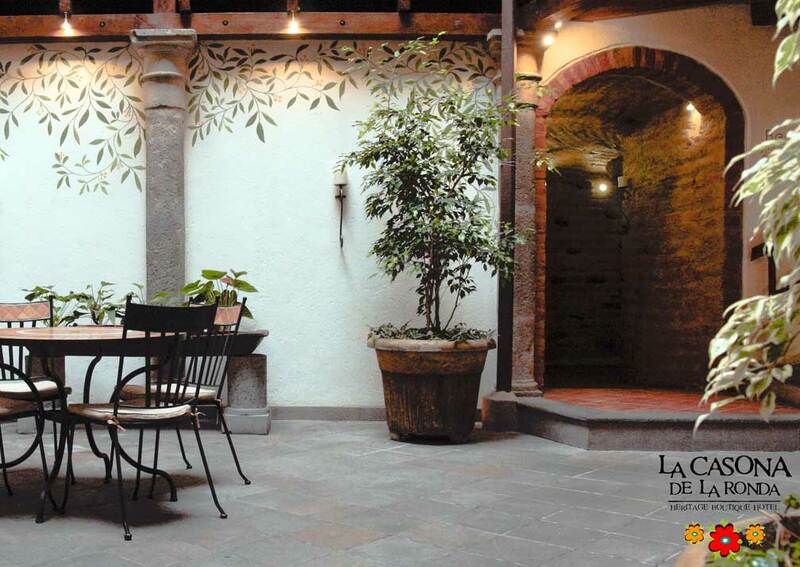 Tucked away on a quiet street this charming hotel has rooms arranged over 3 floors around a pretty courtyard. 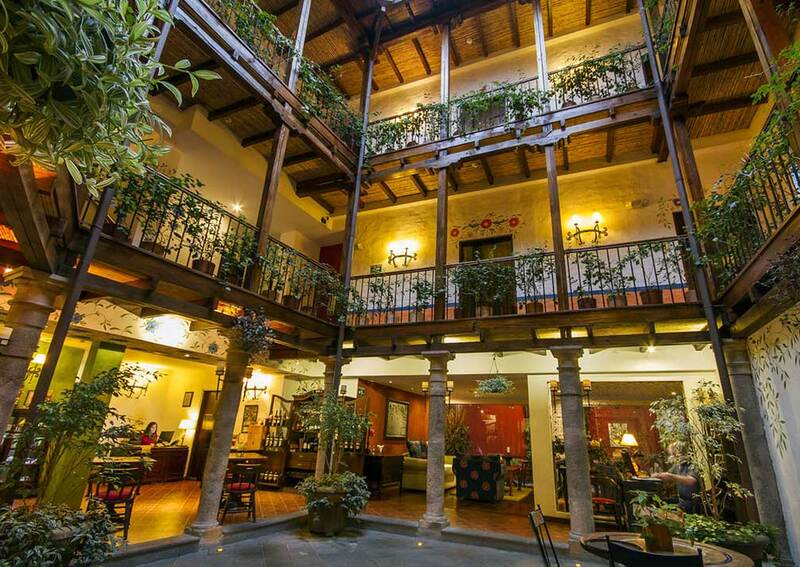 La Casona de la Ronda is located in the historic city centre of Quito yet has a tranquil atmosphere and friendly staff, making you feel relaxed and welcome. 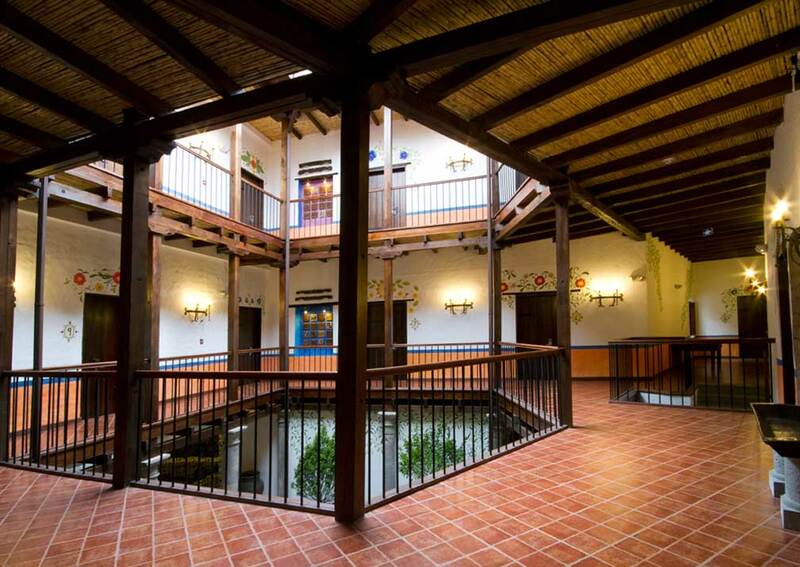 The building dates back to the 18th century and its polished wooden floors and central patio are typical features of Quito townhouses of that era. 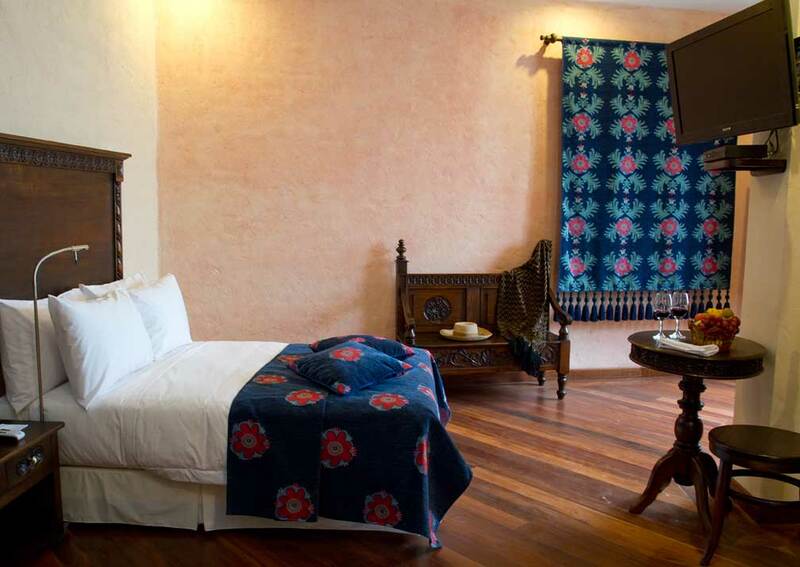 Rooms have a home-from-home charm with comfy beds, colourful blankets and cushions, wooden floors and furniture and decorative paintings and wall stencils. 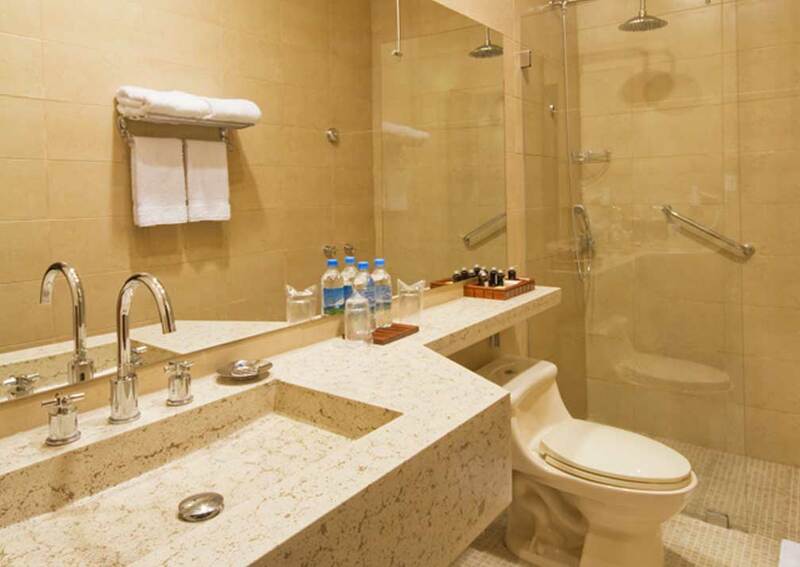 Bathrooms are modern with walk-in rainhead showers and marble vanity units, with toiletries and hairdryers supplied. 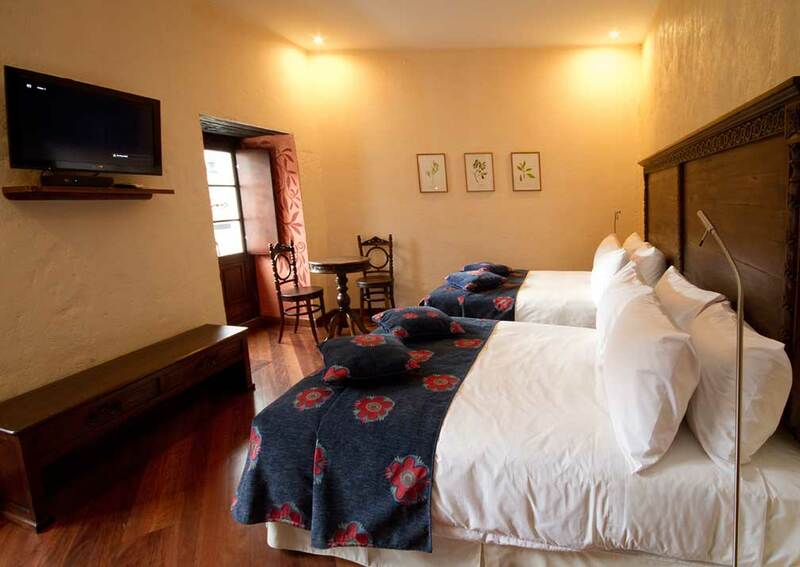 Room amenities include cable TV, phone and safe. 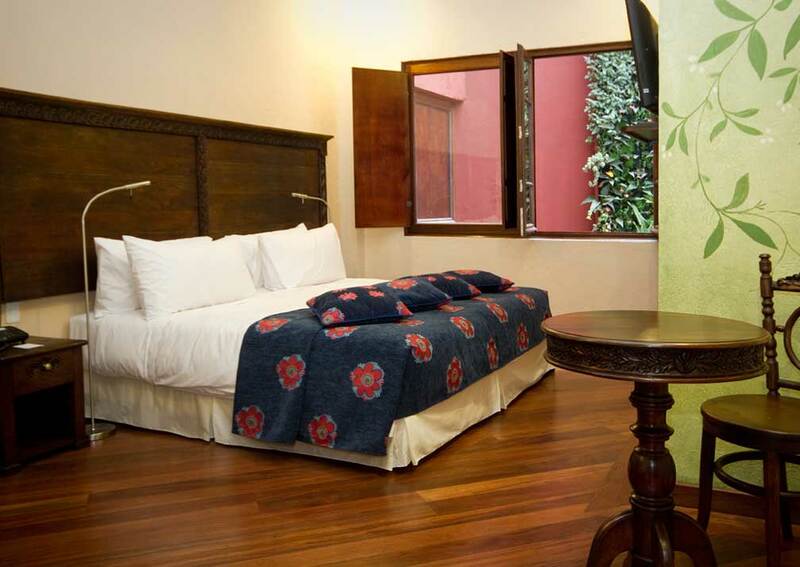 All rooms have complimentary Wi-Fi. The restaurant is open for breakfast, lunch and dinner, and there’s a coffee shop on site for drinks and snacks. 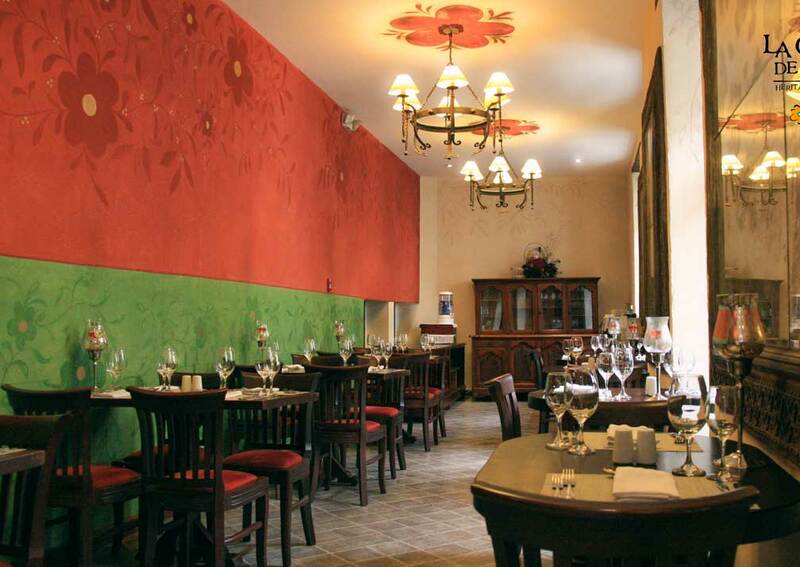 There are also several restaurants in the vicinity. 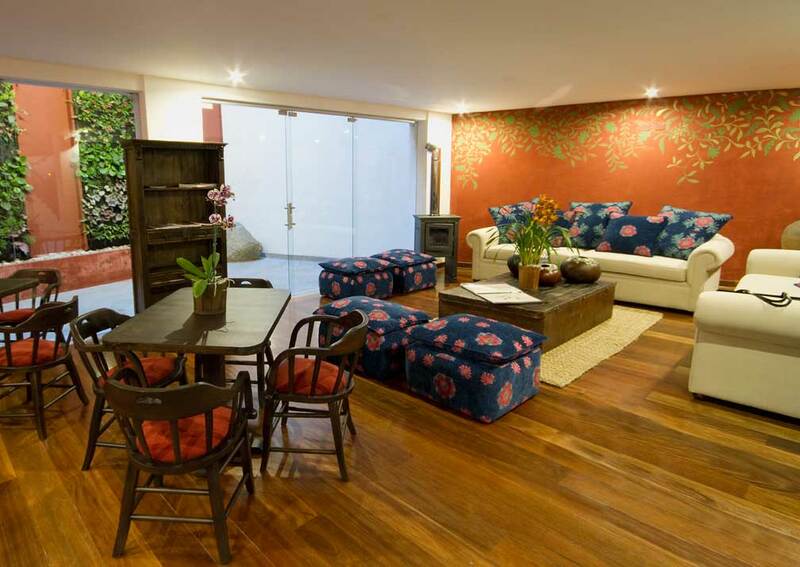 The cosy lounge makes a great place to rest between sightseeing trips. 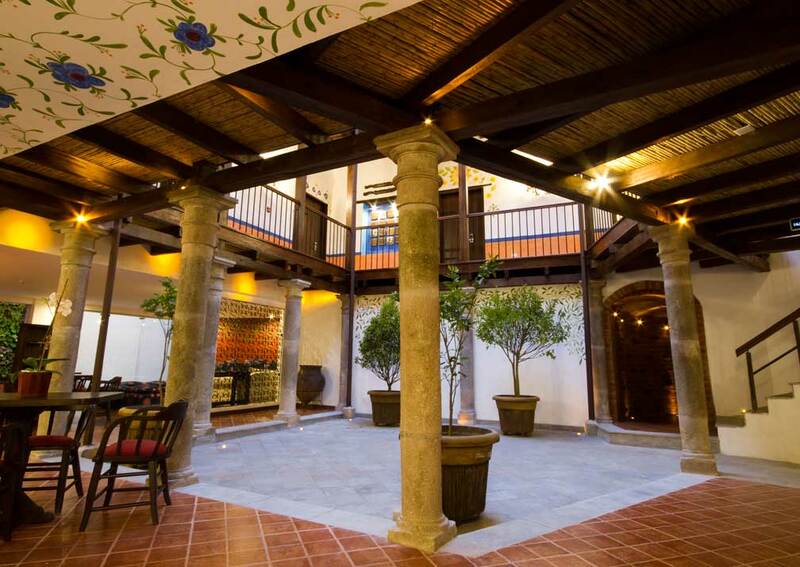 There are 22 rooms in 6 categories, arranged over 3 floors around the central courtyard. 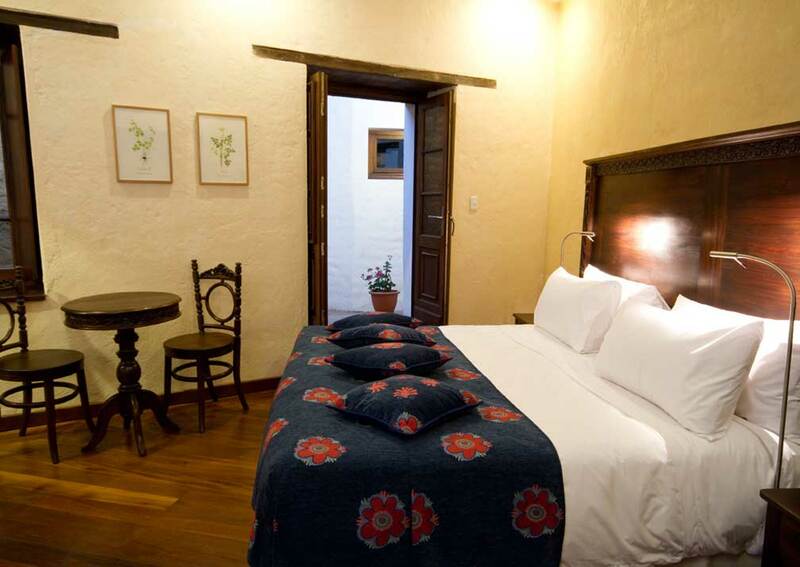 All have beds with orthopaedic mattresses, soundproof windows, polished wooden floors, cable TV, phone, safe, complimentary Wi-Fi, safe, hairdryer and en-suite bathroom with a range of toiletries. 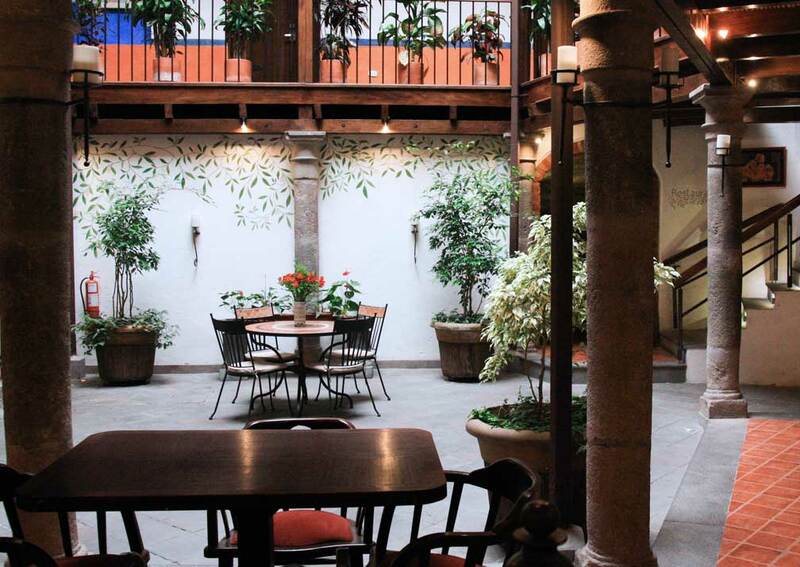 Some have views of the garden, some of the street and others look out over the inner courtyard. 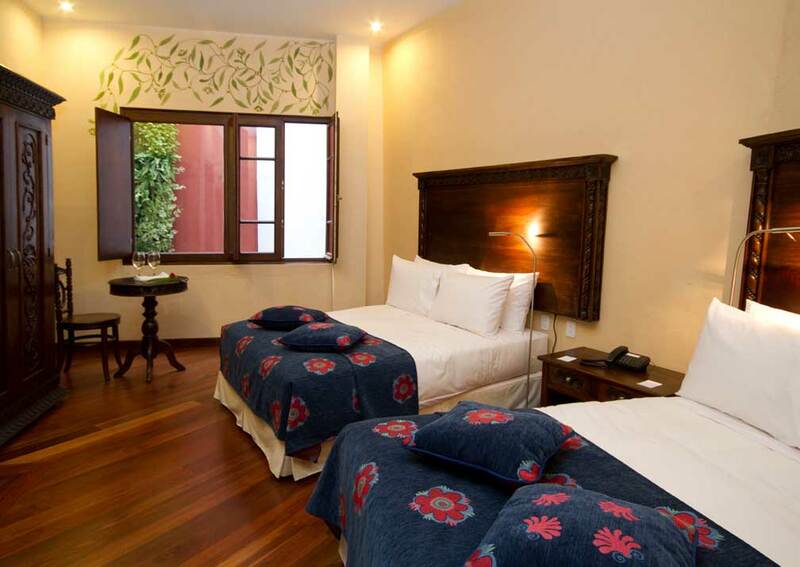 The serenata king rooms have balconies and street views.